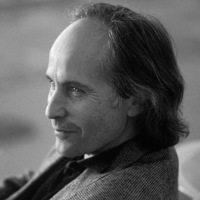 Richard Ford is the author of Canada, a 2012 recipient of the Andrew Carnegie Medal for Excellence in Fiction. He is well recognized for the “Bascombe Trilogy,” which includes The Sportswriter and its sequels, Independence Day—the only novel ever to win the Pulitzer Prize and Pen/Faulkner Award—and The Lay of the Land, as well as the short story collection Rock Springs, which contains several widely anthologized stories. In addition to his steady production of fiction, Ford has also taught writing and literature at the University of Michigan at Ann Arbor, at Princeton University, and at Williams College. He lives in Boothbay, Maine with his wife.